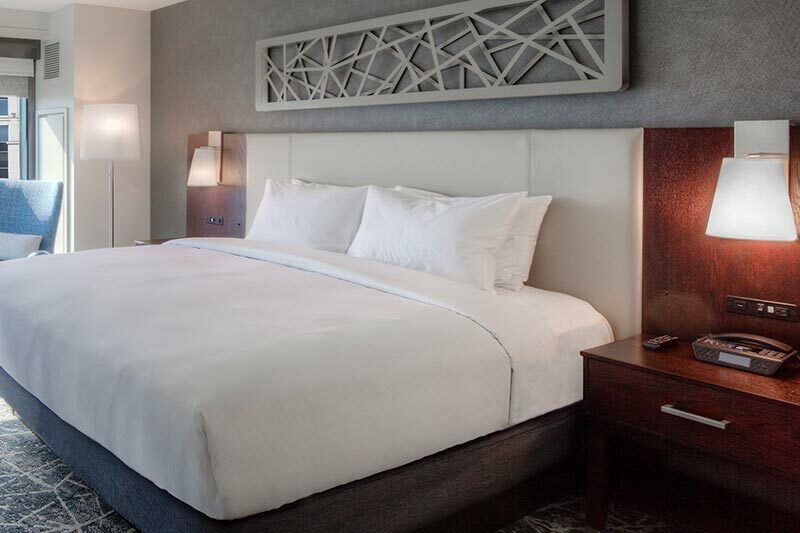 Unwind, relax and stay connected in our spacious, stylish and contemporary Superior Level guestrooms. 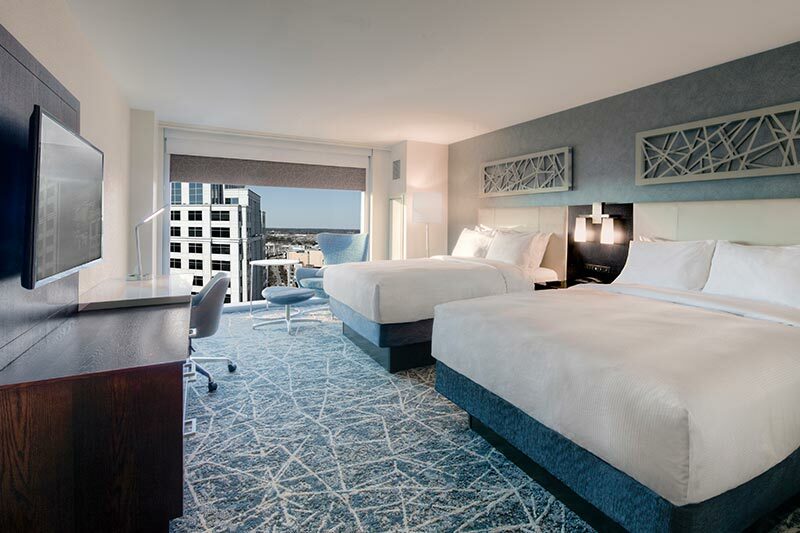 Along with high-speed Wi-Fi and modern décor, you'll enjoy stunning views of the Elizabeth River or downtown Norfolk. 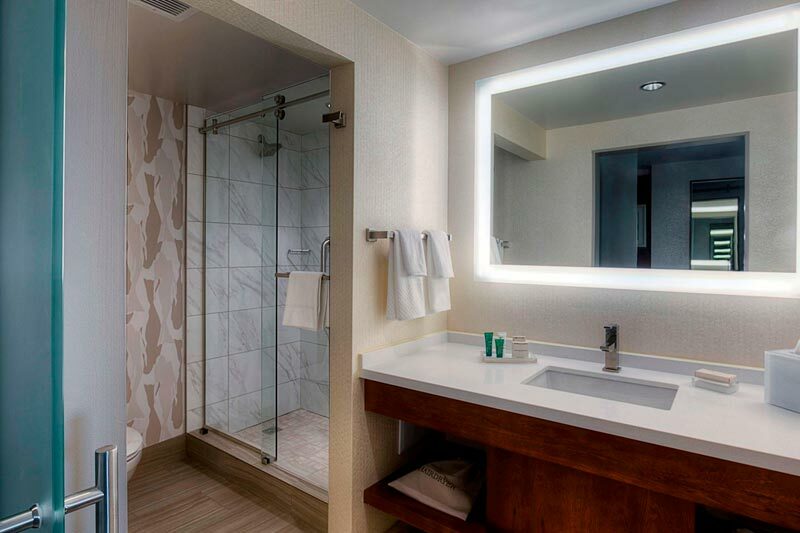 At the Hilton Norfolk The Main, hotel rooms blend modern style with unparalleled comfort and convenience. 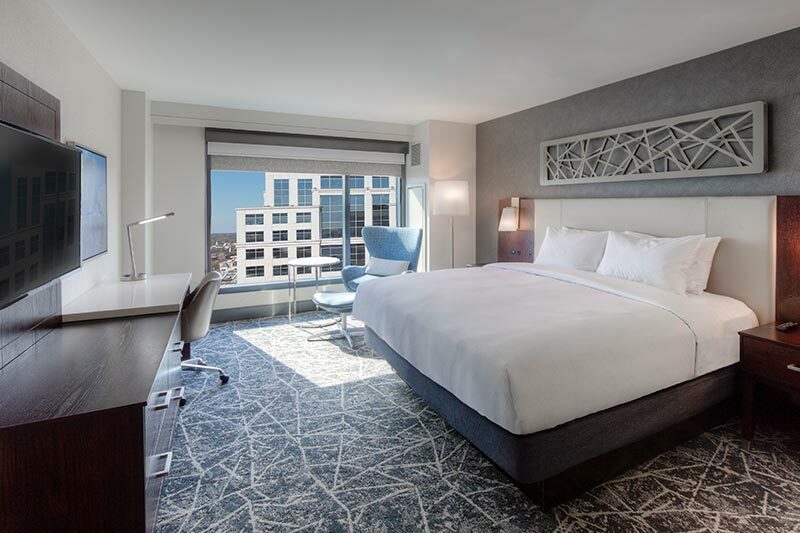 Ideal for business travelers and couples, these spacious accommodations overlooking the city include an indulgent king-sized bed for a perfect night's sleep. 32-inch TV with premium cable channels, including the latest on-demand movies and shows. Enjoy the perfect blend of convenience and savvy modern style, in the heart of Norfolk. 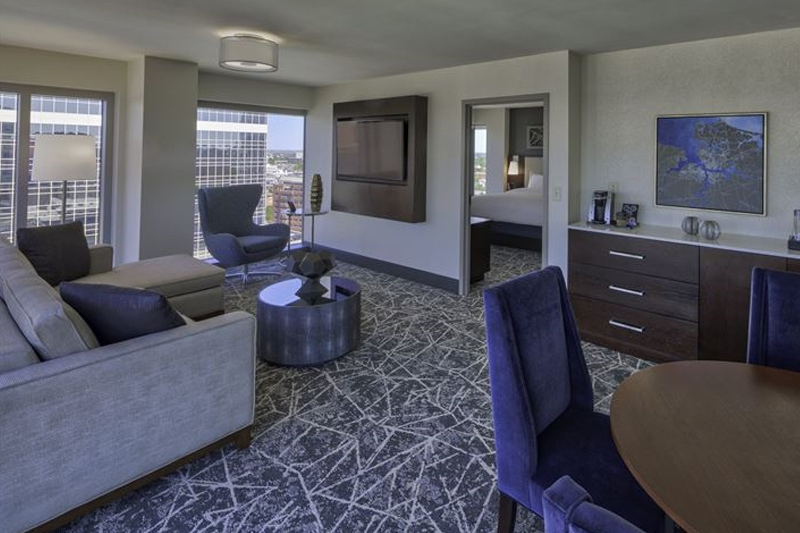 Offering optimal space and an intelligent layout, these luxury accommodations overlooking the city are ideal for families, friends and traveling colleagues. 50-inch TV with premium cable channels, including the latest on-demand movies and shows. Enjoy the perfect blend of convenience and savvy modern style, in the heart of Norfolk. 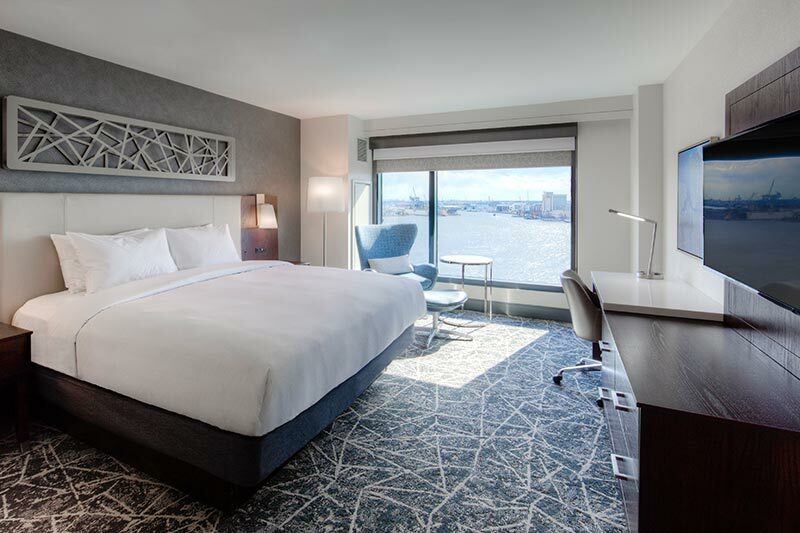 Select this room with one king bed and admire beautiful views of the Elizabeth River. Enjoy the perfect blend of convenience and savvy modern style, in the heart of Norfolk. 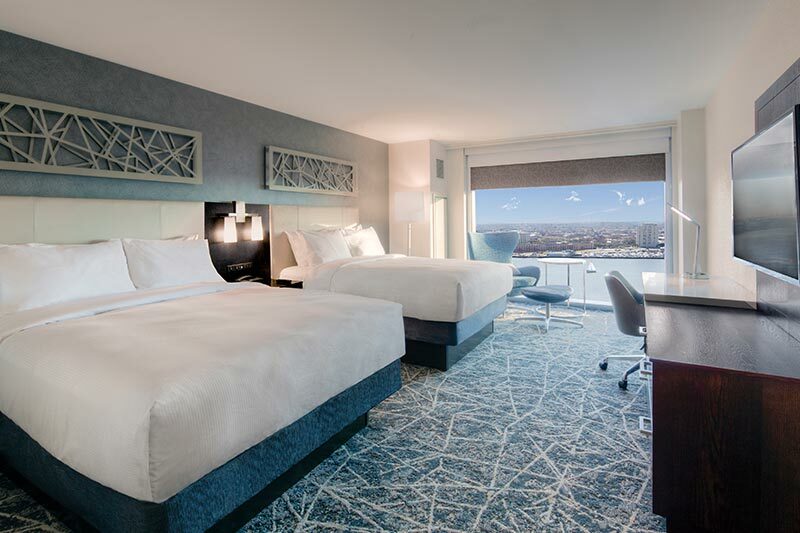 Offering optimal space and an intelligent layout, these luxury accommodations overlooking the city are ideal for families, friends and traveling colleagues. 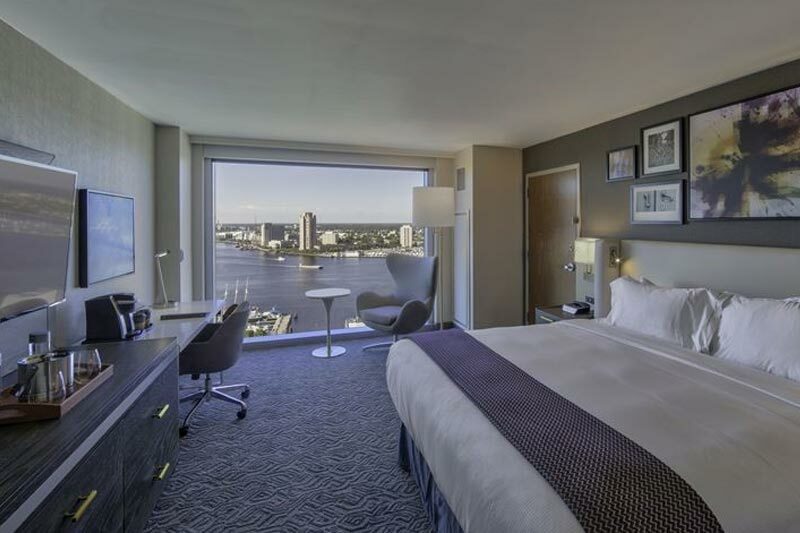 Select this room with one king bed and admire beautiful views of the Elizabeth River. Spa-inspired bathroom, which features a perfectly lit double vanity.